And it’s personal, too. Dr. Williams: "I personally have had good friends pass away from things that diet could have cured. Only a few of my colleagues have agreed to take a critical look at the data on diet. After they do, they always move toward plant-based nutrition. But there’s still a long while to go." Williams wants to keep the conversation going about the role of diet in reversing and preventing disease. “There is a lot of hype out there, but we have to focus on real results. And it’s not just about physicians­–we need to educate nurses, pharmacists, and dietitians.” He also predicts that we are in the beginning stages of a wave of change, even though the article he wrote for Medscape caused a stir. 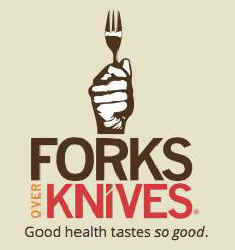 Naomi Imatome-Yun is the managing editor of Forks Over Knives. A food, health, and wellness editor with over 15 years of experience, her work appears in USA Today, Dining Out, and Art Culinaire. Naomi is a Wall Street Journal bestselling author, and was a food expert for About.com for 8 years.